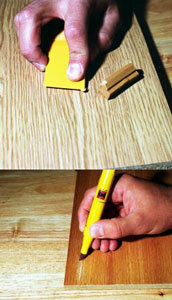 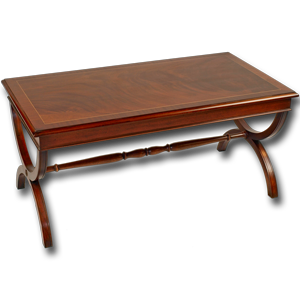 "Scissor-end" Style reproduction coffee table with turned stretcher rail. 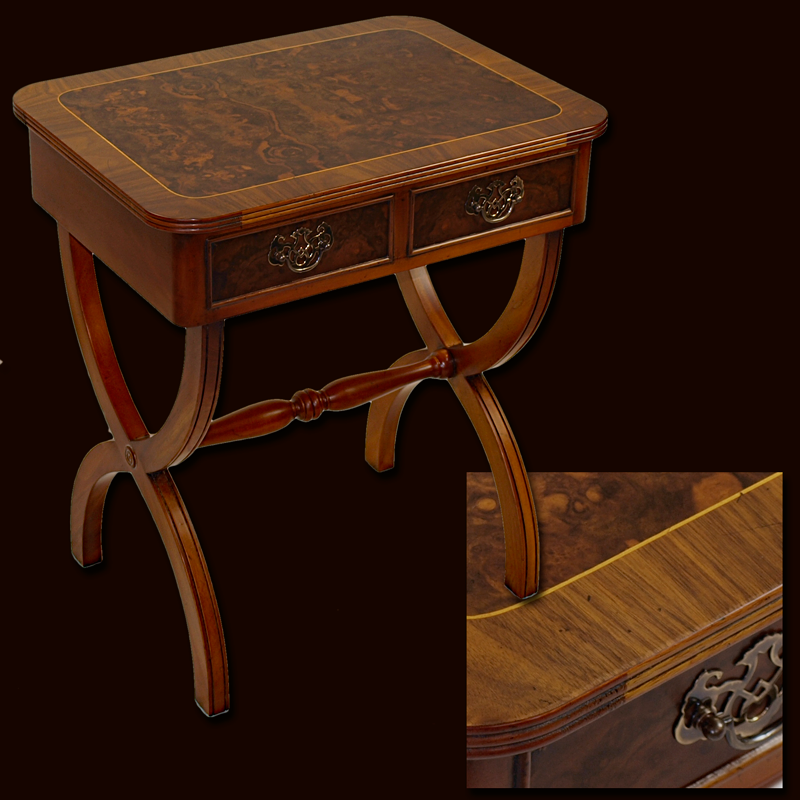 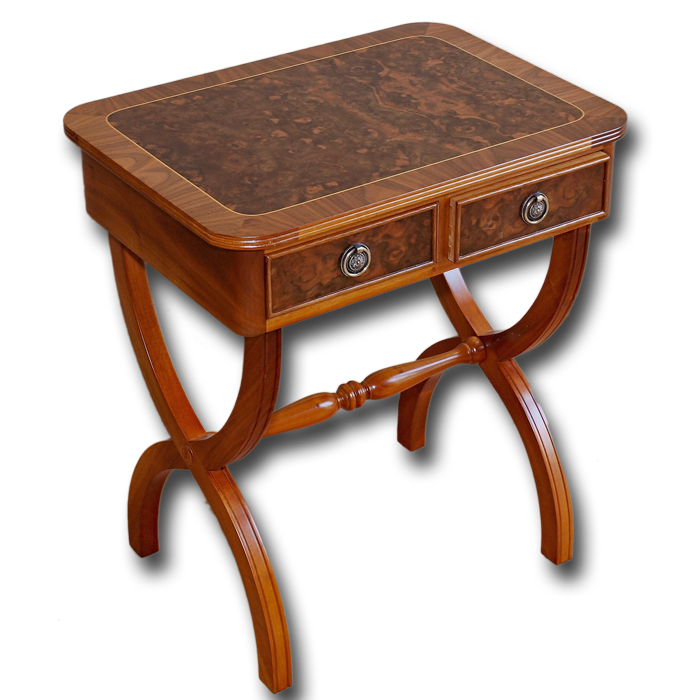 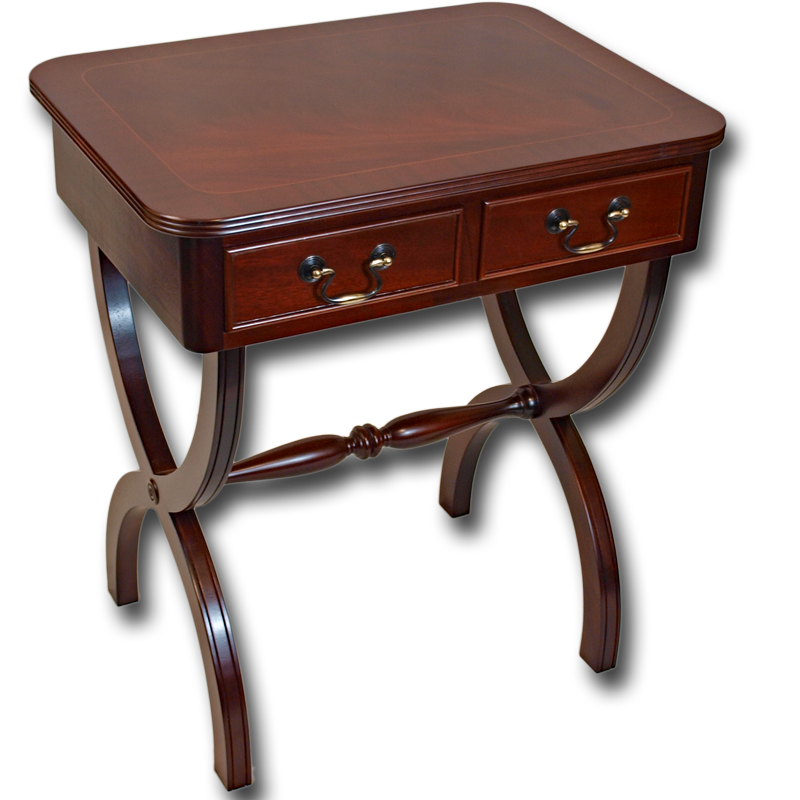 Mainly solid mahogany with hand cut inlaid top. 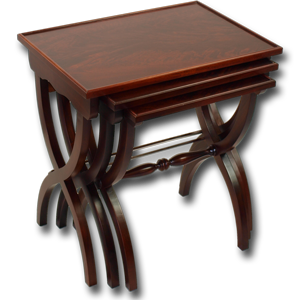 Elegant and unusual.